Casa Canada - Provides residency, retirement, living, and investment information. Directorio de Empresas - Costa Rica business directory. Spanish Language School in Costa Rica - Offers several programs of instruction in the Spanish language. Click Here to know more about cheap car rental service in Costa Rica. First Costa Rican Title - Title insurance for real estate investments in Costa Rica. Stewart Title - Provides title insurance and related services. Papagayoinfo.net provides detailed information about Costa Rica's North Pacific beach communities including Playas del Coco, Playa Hermosa, Playa Ocotal, and Playa Panama. Arenal Kioro Suites and Spa - Offers a viewpoint to the Arenal Volcano. Backpackers Paradise Hostel - Offers hotel comfort and quality at hostel prices. BJ Golf Tours - Golf tours designed by golfers for golfers. Casa Caletas Boutique Hotel - Resort in the Gulf of Nicoya in Guanacaste. Colinas del Poás - Operates canopy tours in Costa Rica. Corteza Amarilla Art Lodge & Spa - Located in San Jose's metropolitan area. Costa Rica ATV Tours - Ride back trails, river crossings, beachfront. Costa Rica Guide - Travel and vacation information. Costa Rica Honeymoon Deals - Offers honeymoon trips in the most romantic hotels and resorts. Costa Rica Hotels & Resorts Association - Travel, lodging, online reservations. Costa Rica Maps - Features maps from different vacation destinations in Costa Rica. Costa Rica Fishing - Lodges and boats for fishing trips. Costa Rica Hotels - Provides discount hotels accommodations, travel services. Costa Rica Sportfishing - Deep sea fishing for marlin, sailfish and other big game fish. Costa Rica Tours - Tours of all types including adventure, rafting, rain forest. Costa Rica Vacation - Information for the international traveler. Costa Rica Vacation Online - Offers customized vacation packages. Costa Rican Treasures - Tour operator offers vacation packages, travel information. Desafio Adventure Company - Offers maps, photos, hotels and important Monteverde information. Directory CostaRica.com - Provides local links to Web sites in Costa Rica. Easy Car Costa Rica - Offers discount 4x4 car rentals with online booking. Eco-Lodge Costa Rica - Panoramic views of Arenal Volcano. Escapes Ecológicos - Costa Rica and Panama vacations. Expediciones Tropicales - Guide about hotels, tours, reservations and car rental. Grayline Costa Rica - Find Guanacaste hotels, Monteverde tours and Tortuguero excursions. Guias Costa Rica - Hotels, tours, maps, articles, directory, vacation and travel information. Hacienda Pozo Azul Adventures - Canopy, hiking, river rafting tours in 2,000-acre ranch. Hotel Bosques de Chachagua - Rainforest hotel located close to the Monteverde Cloud Forest Reserve. Hotel Heliconia - Located in Monteverde, near Santa Elena Rain Forest Reserve. Hotel Fuego del Sol - Located in Playa Hermosa. La Mansion - Hotel located between Quepos and Manuel Antonio National Park. Maptak - Maps and tools for exploring Costa Rica. 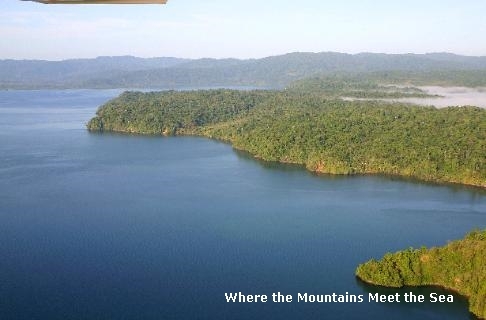 Martino Resort & Spa - Explore volcanoes, waterfalls, beaches, white water rafting, and cloud forest. Nature Air - Daily flights to 17 exotic vacation spots in Costa Rica, Panama, and Nicaragua. Nature Landings - Costa Rica travel magazine. Nature Rovers Costa Rica - 4x4 rent a car. Ocotal Beach Resort - Offers lodging, scuba diving, fishing, honeymoon packages. Selvatura Park - Located in Monteverde, offers canopy tours, treetop walkways, butterfly garden. Sunset Reef - Beachfront resort located in Mal Pais in exotic Guanacaste. tamarindolife.com - The official Tamarindo map. The Alta Hotel - Located in San Jose, the hotel overlooks beautiful Valle del Sol. Tico Resorts - Unspoiled destinations, adventure, comfort and service. VesaTours - Costa Rica travel magazine. Villas Corcovado - Located in coastal rain forest reserve in Golfo Dulce. Villas del Caribe - Caribbean beach hotel in Puerto Viejo. Costa Verde Hotel - Located in Manuel Antonio and one of the best hotels we visit. LA Car Hire - Easy to book using our rental engine for car hire in Los Angeles and at the airport. Offerte Spa San Valentino Toscana - Hotel e Centri benessere con le più rinomate beauty farm della Toscana con foto, descrizioni e modulo per contatti. Offerte San Valentino Lazio - Presenta una vasta scelta di offerte per week end e ponti in Spa e Beauty Farm e in Lazio. Offerte San Valentino Umbria - Offerte e lastminute in Umbria nei più rinomati hotel con centro benessere della regione. Vancouver movers - Canadian Moving Company -Vancouver Moving Company, Toronto Movers: Canada's Moving Company for 20 yrs - Top quality moving companies in Vancouver, Toronto and everywhere in between. Price match guarantee, A+ rating with BBB, packing videos, hundreds of testimonials. by clicking here Car Rental Nashville Airport has many things to explore.